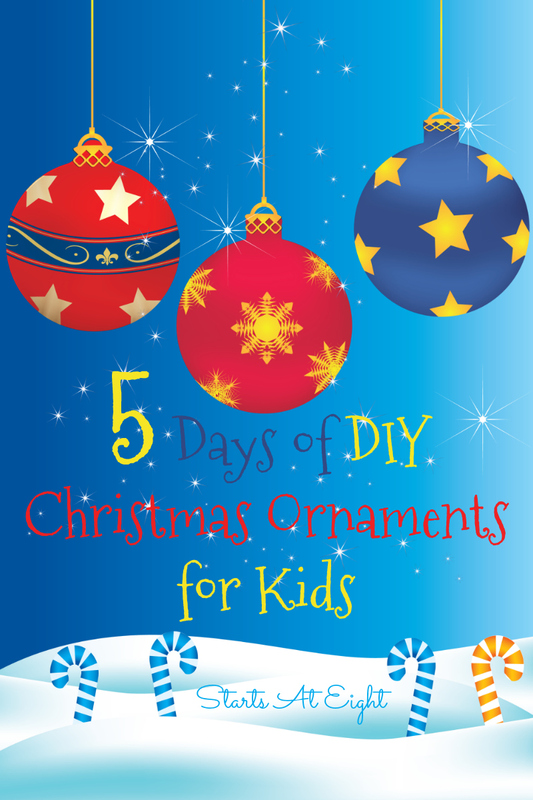 Welcome to 5 Days of DIY Christmas Ornaments for Kids! I decided to get in the holiday spirit this year by choosing DIY ornaments that the kids could make themselves. 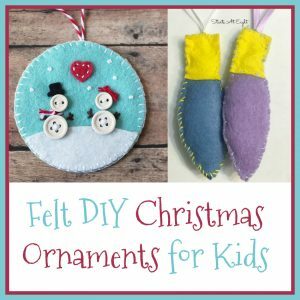 If you want to join us grab your supplies, turn on the Christmas music and get to making some of these DIY Christmas Ornaments for Kids! 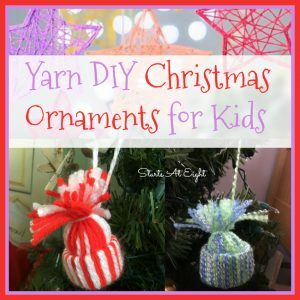 For each day of crafting we have chosen a different theme for our DIY Christmas Ornaments for Kids. With most of them we have created two different ornaments with the supply theme. 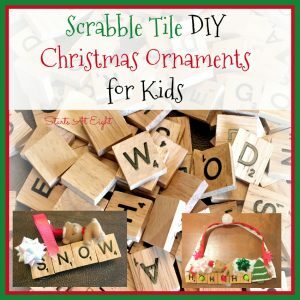 Besides the ones we created ourselves, I also linked to many other easy to do DIY Christmas Ornaments for Kids that fit the supply theme of that day! So stop in each day this week as we add a new round of DIY Christmas Ornaments for Kids tutorials ! 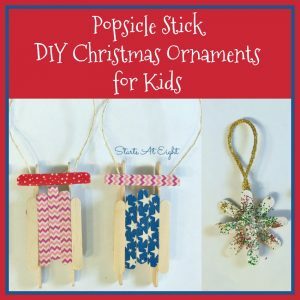 Using 3 different sizes of Popsicle sticks we created multiple fun and easy ornaments. Both the Washi Tape Sleds and Glitter Snowflakes could double as great personalized gifts by gluing a photo to the center! We created tons of variations using Scrabble Tiles with my daughter’s weekly Art Club friends. I simply showed them some ideas, put out a tons of supplies, and let their imaginations run! 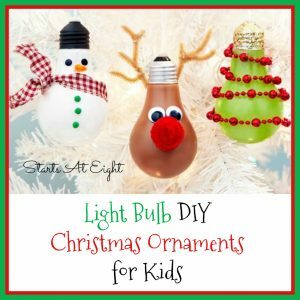 You can take old light bulbs and turn them into fun holiday themed ornaments! I scoured the Internet for the ones that would be the most kid friendly to create! 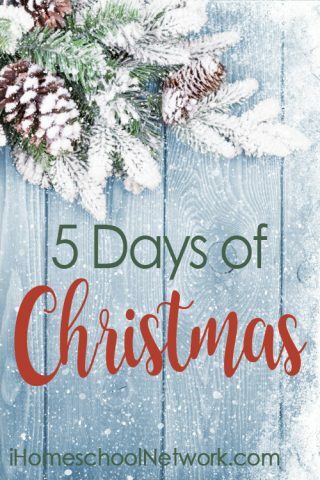 iHomeschool Network Bloggers 5 Days of Christmas posts!